Get the inside track on some of the region’s finest wines on an extraordinary journey. An elegant train ride on board a restyled Vintage Pullman rail car to the heart of spectacular Napa Valley. Exclusive tours and in-depth tastings at renowned wineries, with a gourmet multi-course lunch and our very own private label wine along the way. In the spirit of traditional rail travel, you will be seated with another party on winery tours, making it an intimate shared experience. 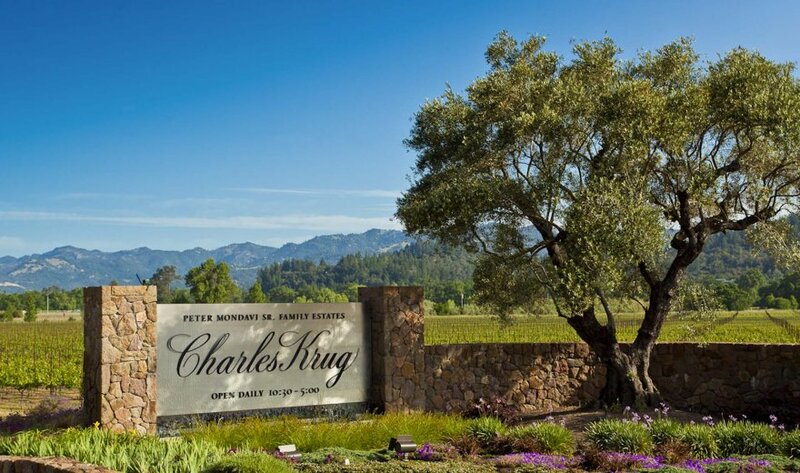 The best that Napa Valley has to offer. An indulgence, from start to finish. Let the Napa Valley vines tell you the passionate stories and secrets of the land. 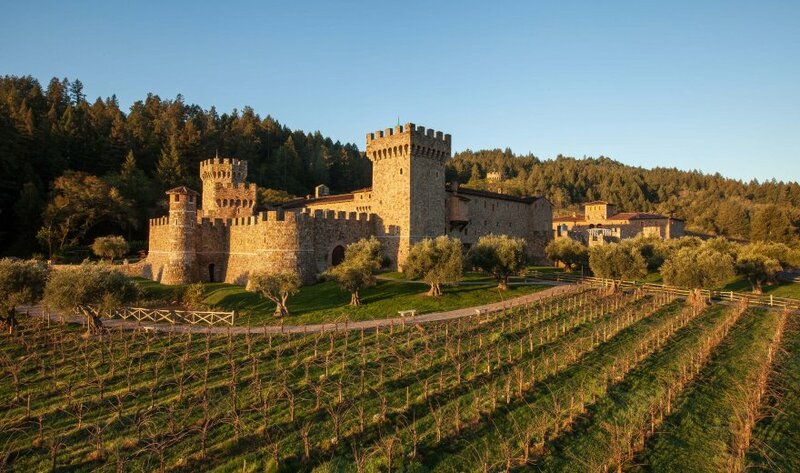 Visit Castello di Amorosa and take a trip through time. Gourmet lunch aboard our elegant vintage train and a guided tour and tasting of Raymond Vineyards. This tour is truly a feast for the senses. It’s time to visit the winery that put Napa Valley on the map. 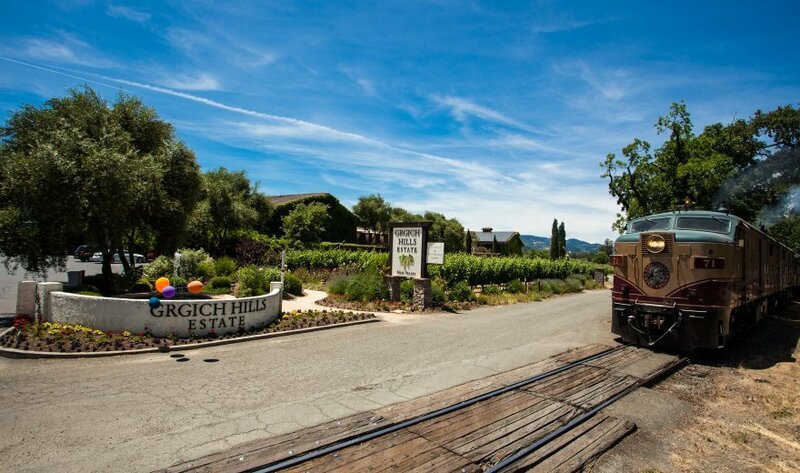 Come visit the stomping grounds of wine legend, Mike Grgich, one of the greatest winemakers in the world. Enjoy the rich history of California’s first tasting room. 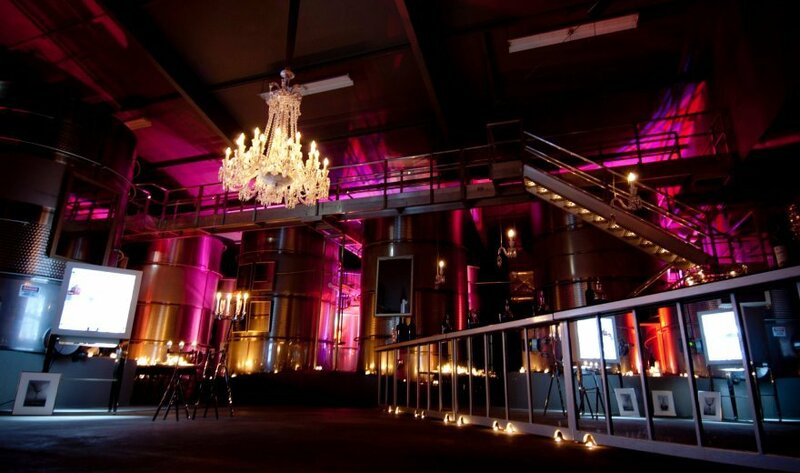 Meet a winery built on whimsical decadence and crystal chandeliers. The Ambassador Tour gives you the best of both worlds.